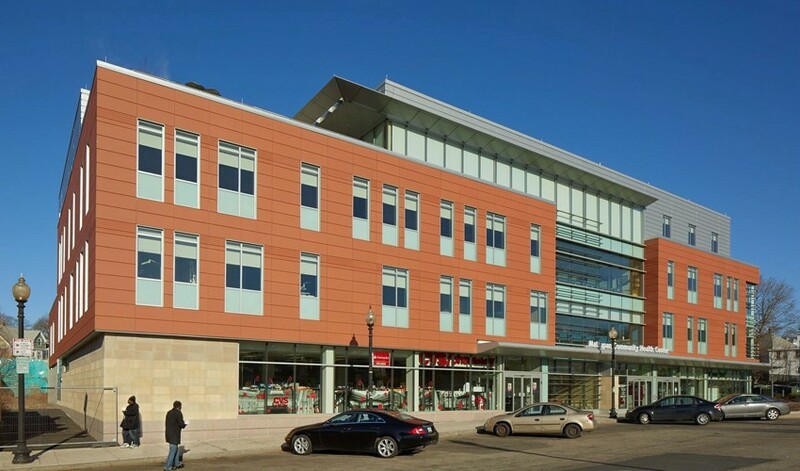 Completed in 2013, this 50,000-square-foot, four-story community health center provides the residents of Mattapan and its surrounding communities with comprehensive primary healthcare along with social services and a community space for the urban neighborhood. It is the only community health center in Mattapan and Hyde Park. Sunrise’s scope of work included the complete NBK terra cotta rainscreen façade.